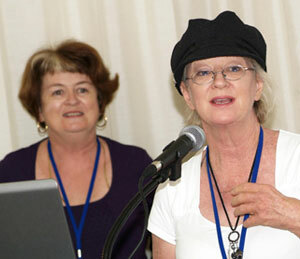 Dr Verena Marshall and Dr Kerry Pedigo, Curtin University. Two Curtin University of Technology academics who participated in Construction Innovation’s Safer Construction project have mooted a star rating system as a way of incorporating safety into construction projects. Dr Verena Marshall and Dr Kerry Pedigo say the idea was proposed to them during interviews they undertook with Small to Medium-sized Enterprises (SMEs) involved in design and construction, as part of the development of the Guide for Best Practice in Safer Construction. The system would be similar to the Green Building Council of Australia’s star rating system for environmental design. Dr Pedigo said the safety star rating system was one of several proposals put forward by SME companies they interviewed for the Safer Construction project, which developed the Guide to Best Practice for Safer Construction as a whole-of-industry safety framework which addresses all stages of the construction process: planning, design, construction and post-construction. “The need to provide incentives featured significantly in the interviews,” Dr Pedigo said. SME organisations are often undercapitalised and depend on continuous cash flow for their continued business. These factors influence the smaller operators’ ability and motivation to achieve high levels of OHS compared with larger firms which tend to integrate OHS into their management systems. “If you don’t have an accident and you show you have done the training, there is the opportunity for you to be a preferred tenderer status, for example, or maybe get some discount off your indemnity insurance,” Dr Pedigo said. Five major areas for incentives were cited during interviews as opportunities to encourage SME support for adoption of the Guide to Best Practice for Safer Construction. The most cited response was accreditation, followed by the Worksafe ‘blue card’ system used in Western Australia (although this system was also criticised by some interviewees as being “too easy to get”), indemnity insurance, enhancement of industry reputation, regulatory and legal obligations, as well as the possibility of a ‘star system’ approach. The majority of Australian construction firms are small businesses, with 97% of general construction businesses employing less than 20 employees and 85% employing less than five employees. Although SMEs make up the major portion of construction organisations in Australia, there is a lack of published research in relation to occupational health and safety (OHS) issues for this group. Some research indicates small firms “do not feel the need to focus on OHS in their management systems”, believing instead that the control of risk is the responsibility of employees. Problems experienced by SMEs relate to statutory requirements to complete extensive formal documentation, which can be highly time-consuming and possibly stretch the boundaries of confidence for employees in very small companies. Small contractors tend to have limited communication with higher levels of site managers on larger projects due to the positions they occupy in the organisational hierarchy, which can lead to limited awareness of their responsibilities, and subsequent sense of limited influence on decision-making around OHS practices, even though their employees are exposed to associated risks on a daily basis. The industry is highly competitive and characterised by unsteady employment, and multi-disciplinary trades working simultaneously on the same work site with different contractors, many of whom represent small family businesses. Typically, workers are employed on one-off projects resulting in high labour turnover and a constantly changing work environment. Drs Pedigo and Marshall suggest that for these reasons considerations need to be given to incentive schemes that attract SMEs to effectively integrating safety into their day to day operations.